#SL01: This photograph was made during a trip to Sri Lanka in August 2005. 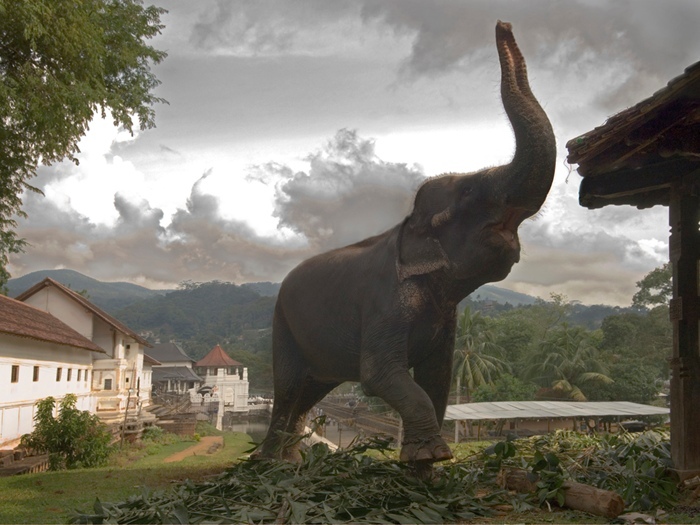 The elephant raises its trunk in response to a command given by her mahout. The buildings in the background are the temple complex of the Shrine of the Sacred Tooth Relic, and the cloud formation above the peak of the temple roof  an unexplainable gift from Lord Buddha.